This quick and easy snack feels like an indulgent treat, thanks to the cocoa powder, peanuts and coconut. You’ll even score some satiating protein from the peanuts and ricotta cheese and a dose of healthy flavanols from the cocoa powder. Enjoy! Mix ricotta and cocoa powder until well combined. 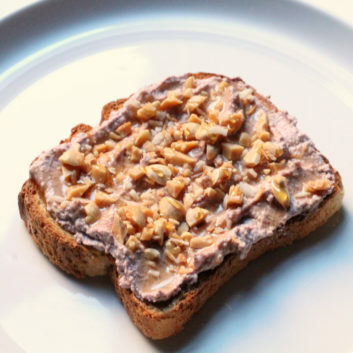 Spread ricotta mixture onto toast and top with peanuts, honey and coconut. Enjoy warm or at room temperature.